Green Sukabumi Stone Sawn Cut supplier contact whatsapp +62 853 369 06433 (Ms Putri). Having a swimming pool and the unique beauty will make the value of a property becomes higher so few people are interested in using Green Sukabumi Stone Sawn Cut or commonly called a green stone Sukabumi with finishing method Average engine. When usually some people that choose to use a ceramic or mosaic to make the pool look more beautiful, currently, the trend are gaining in popularity is the use of natural stone Sukabumi as the finishing of the swimming pool. The use of green Sukabumi stone, besides making swimming pool display looks exotic and unique, natural stone was found to have a natural compound that serves to purify the water in the pool. It certainly would make the pool more comfortable and fresh to be utilized. Use of Green Sukabumi Stone Sawn Cut can be applied to the floor or wall of the pool. Mechanical finishing with sawn cut or price of this machine is to create whole side of the rock face were flattened by utilizing cutting machine with the help of rock saws to get the pattern and size needed. Mechanical finishing average machine usually used for this type of natural stone with the limitations of other finishing processes such as polished. However, the use of this technique could provide a natural impression on the stone. 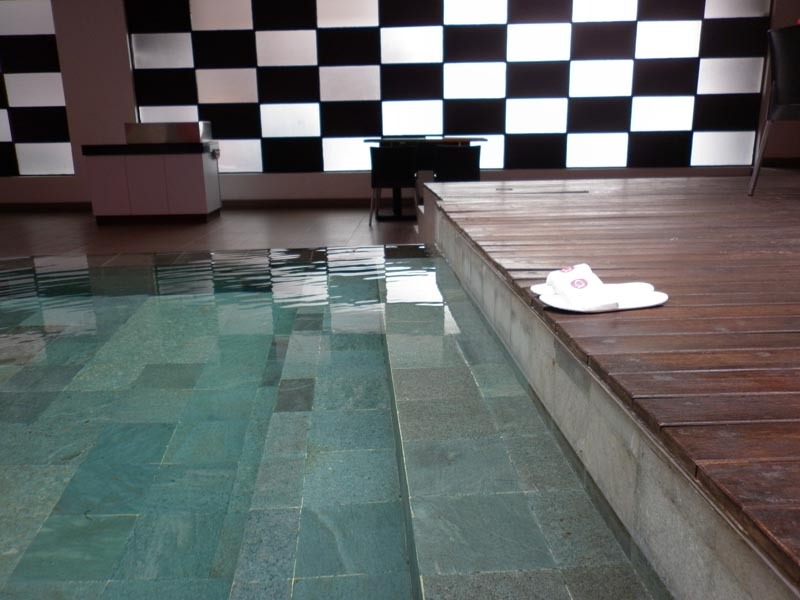 So when applied in the pool, you can see the natural appearance of natural stone. Many people prefer to use the Green Sukabumi Stone Sawn Cut or green Sukabumi stone with the average finishing machines for this type of stone has a more affordable price compared with the other finishing stone. This is not surprising since the process of finishing with average technique this machine is the most easy to do and can form almost any size needed. In addition, this technique can also make the process faster it is no surprise when the price of this type of stone to be lower than the stones are processed with other techniques. Lower prices, faster processing process is the reason many people are interested in choosing a green stone Sukabumi with average machine finishing techniques. Many people are keen to take advantage of Green Sukabumi Stone Sawn Cut to create a pool view they become unique, exotic, and natural. When you plan to buy various types of natural stone for the needs of the property and building, you should also choose an artisan or a distributor of natural stone right. With the increasing market demand for green stone Sukabumi, this does not rule out the possibility there are some parties want to seek profits by way of fraud. 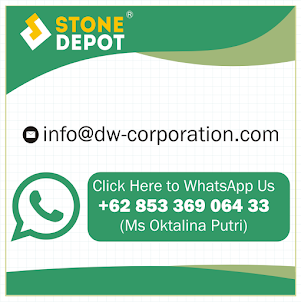 Booking green stone typical of Sukabumi online can be an advanced step that is practical and effective as long as you can find a reliable distributor. When you feel free to shop or book online Sukabumi green stone, you can come directly to the craft centre and distributor of Sukabumi natural stone to get the product Green Sukabumi Stone Sawn Cut quality including sizes and motifs that you want. More info of green sukabumi stone sawn cut please contact our email : info@dw-corporation.com (Ms Putri) or Whatsap +62 85336 906 433.